Jan.2007, William Neilly, (glesca artist) Hamilton, Scotland. "......many thanks for designing and maintaining this excellent and informative website. Your time, effort and dedication are very much appreciated by me, and I’m sure, by many others at home and abroad who visit Glesga Pals - a job well done, so keep up the good work. Please accept my donation to help with your on-going running costs. I was born on 3 December 1947 at Forbes Street, Camlachie, the home of my maternal grandparents, although the family lived in Newhall Street, Bridgeton. Just after World War II (1939-1945) the Corporation built new houses in Dalmarnock and in 1949 my Ma and Da must have felt they’d won the fitba’ pools when they were allocated a three apartment with kitchen and inside bathroom at 17 Woddrop Street, Dalmarnock. ( Note: the correct spelling is “Woddrop” although usually pronounced “Woodrop”). The Neilly family continued to live at number 17, from 1949 until 1981 when our Ma was re-housed in the Calton. I lived round the corner from Jim Leishman, played with Graham Hutchison and went to school and on holiday with Russell Sinclair. I attended Springfield Primary, Riverside Secondary and Whitehill Secondary Schools. I also attended Dale Dale College, Stow College and eventually graduated BSc Civil Engineering from Strathclyde University. My wife Sandra was also born and bred in the East End. We met at the Highlander’s Institute and were married on 2 September 1971. We initially set up home in North Carntyne where our daughter Vivienne was born in 1973. My work with the former Strathclyde Regional Council prompted a move to Hamilton, South Lanarkshire. We’ve lived in Hamilton since 1981. By the way, my Ma knitted the mohair jumper !! 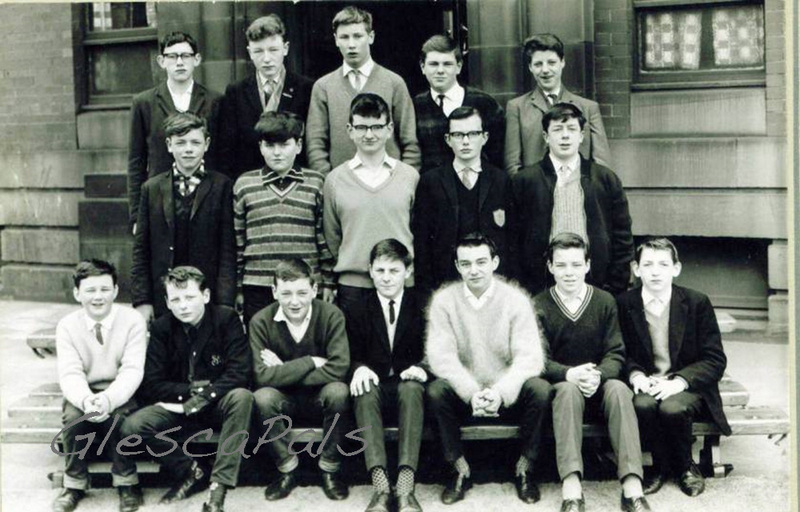 My Name is Jimmy Bain and I attended Riverside,only for a few Years as our Family moved to Riddrie from 20 McEwan St Parkheed, this was 1969-1971, I also went to Newlands Primary, which was a feeder to the Big School, Ist day at Rivvy remember getting thrown into the thorns at the back gate, think I still have a few in my body.